American Pet Products Association estimated that sixty-eight percent of U.S. households included a pet in 2017-2018. Understandably, the growth in pet ownership means increased spending per pet in areas like food, grooming, accessories and other specialized premium products. As pet owners treat their pets more like family, they spend accordingly. Pet and animal products are growing innovatively, giving companies unique opportunities to showcase their products. The pet and animal health industry has proven that it is recession-proof, even during the economic downturn of 2008, which makes it a reliable and persistent market. Retail displays should be well-made, durable, functional and attractive. Your best products can sell beyond your expectations when you align your display purchases with buyer psychology. Additionally, the quality of your display often reflects the quality of your product. Well-built pet displays showcase top-quality form and put function at the buyers' fingertips. Equine accessory displays - like the one featured below for whips, crops, sticks, poles and other tools - make it easy to neatly and visibly stock equine products. The prospective buyer can hold and examine your products. Size and weight are considerations with equine products, so these displays are made with a focus on durability and maximizing use of square footage. Pet food displays are another example of how custom displays better cater to the buyer experience. These displays must be designed to bear weight while resisting the wear-and-tear of constant loading and product handling. They must look attractive, even when empty. Units like these should also be portable to accommodate for movement around stores. Animal health custom displays should also be easy to clean — as pet store owners will tell you, accidents do happen. No two client situations are the same. Our experience with pet and animal health displays lay the foundation to address your specific needs. We pride ourselves on being your accountable one-stop-shop for the design and production of your next project. 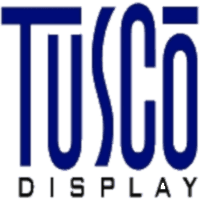 At Tusco, we take the initiative to go above and beyond expectations. Want to learn more about pet and animal health displays? Contact us online or by phone today.